Ah, cheers. It's a bit obvious when you think about it! 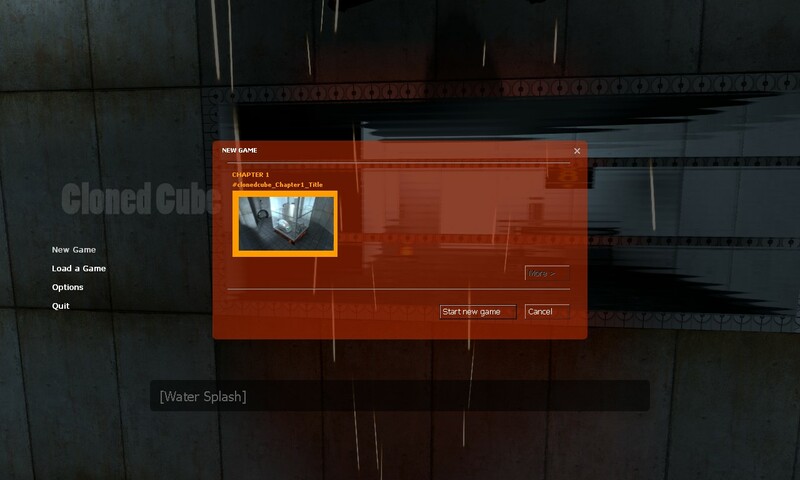 L 03/27/2008 - 13:11:56: server_cvar: "deathmatch" "0" execing chapter1.CFG Unknown command "m"
tried starting a chapter and no response. also the thumbnail shows a blank. Error: Material "vgui/chapters/chapter1" uses unknown shader "��"
execing chapter1.cfg Unknown command "��m"
ALSO i got a glitch in my chapters window. this appears on the top left..
As for the material error, i'm using firefox and whatever you have typed there has been interperated as a Unicode character. as far as i know, everything was done using the ep1 engine.. so i dont know how it might have happened..
on my console, the unicode just appeared as 2 boxes that looked kinda like  so i dont really know what it means. Also, this isn't necessarily 100% about the page topic, but this other issue I'm having is stemming from information that I found on this page: I'm trying to figure out why my game over messages aren't displaying properly, if at all, when I trigger them. This page was last modified on 17 December 2018, at 03:21.